How long will my house numbers last? What are the size of the numbers? How much is Postage & Packaging (p&p)? When will my house numbers arrive? How do I care for my numbers? 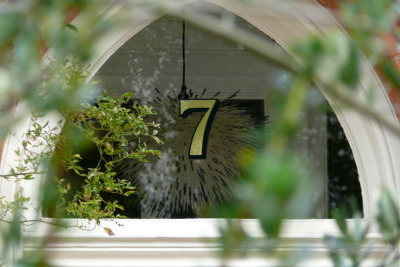 Yes our house numbers have been designed to be easily installed on any fanlight or transom. We currently offer an installation service in the following areas London (within M25) , Birmingham & West Midlands, Dublin and New York City. Price: UK £35, Dublin €40, NYC $50. Please call us on + 44 (0) 845 326 0497 to arrange. Although our numbers have their origins in the past we use modern materials chosen for their strength and durability. All our products are tested to ensure they last for years and we are so confident that ALL our house numbers come with a 10 year guarantee. We are proud that all our house numbers are designed and manufactured in the UK. As you can see from our gallery page there are many different styles and sizes of fanlights and transoms where our house numbers have been fitted. Yes! Our biggest markets are UK, US and Ireland but we deliver worldwide. All our numbers are sent using Royal Mail. For the UK we use First Class and your numbers should be with you within 3 days. International orders are sent Airmail and your numbers should arrive within 3 to 5 days for Europe and 5 to 7 days for the rest of the world. P&P is free for UK orders and a flat rate of £2 ($3 approx) for international deliveries. Postage and packaging is free within the UK and to keep things simple we charge a flat fee of £2 (approx $3) for all international orders. For UK orders your house numbers are sent using Royal Mail First Class and should take no more than 3 days to reach you. All international orders are sent Airmail and should arrive within 3 to 5 days for Europe and 5 to 7 days for the rest of the world. We recommend that your fanlight window or transom window is only ever cleaned with soapy water. Do not use any harsh or abrasive cleaners as this may affect the finish.